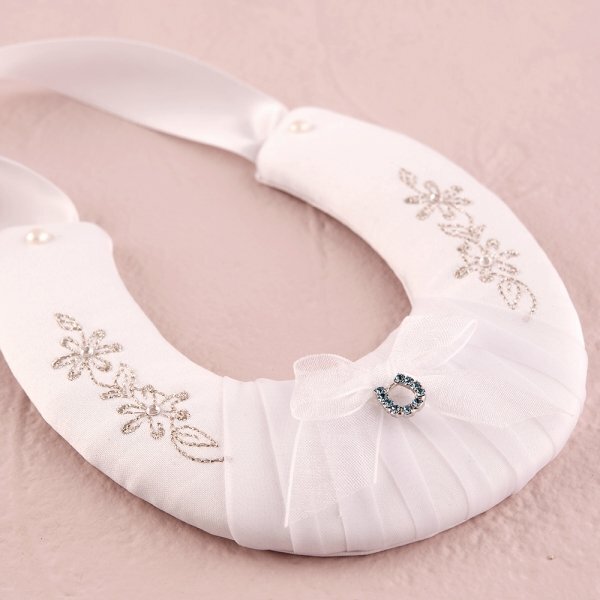 We have covered a traditional lucky horseshoe in white satin and decorated it with delicate silver embroidery and a blue crystal horseshoe. 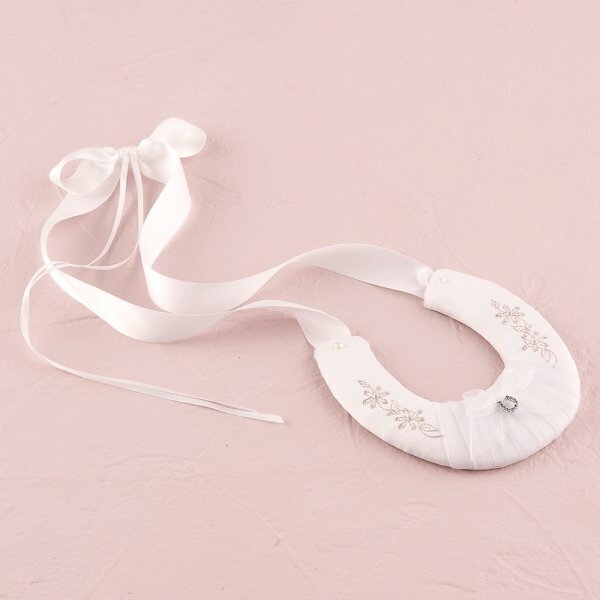 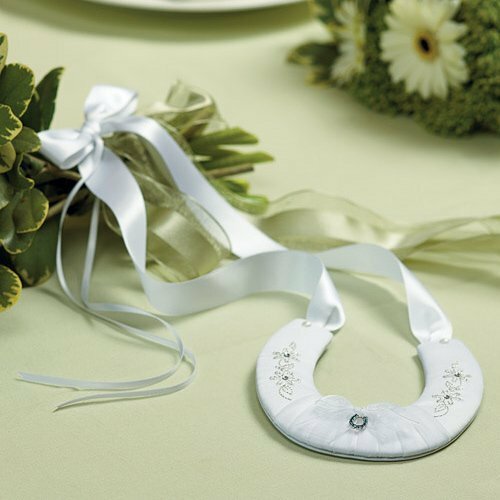 Featuring a white satin ribbon handle, this charm can be included in your bridal bouquet, used as a ring pillow, or hung up at the reception site. This is a must-have for your western-themed wedding, or any event where you want to add a bit of luck! 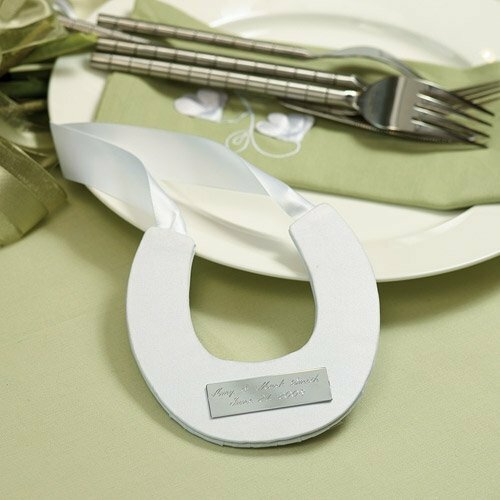 Metal horseshoe measures 4 1/2" by 5" (not including handle).